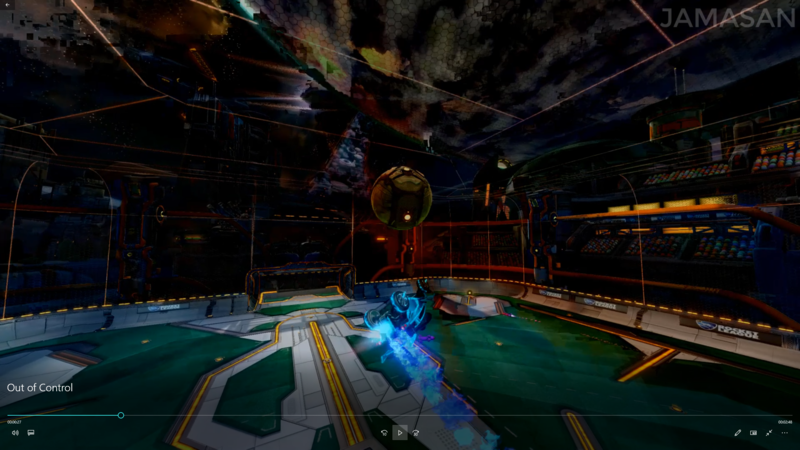 I have just started trying to use Camtasia 2018 and am making a Rocket League montage. I am recording clips with OBS, then importing them in to Camtasia to edit them and make the montage. However, I am getting a problem when rendering. 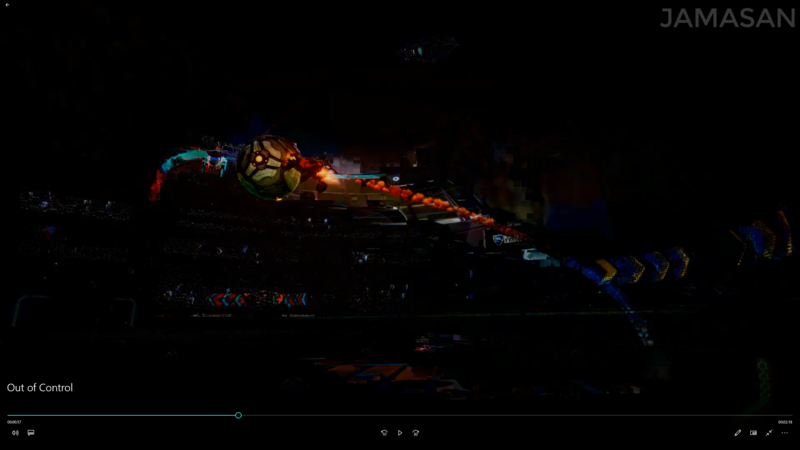 When I render the video, some of my clips come up with this strange effect (pictured below). With where I am at in my work these are the only two clips I have come across with this issue so far. These clips do not have these problems in the original recordings from OBS and in the Camtasia preview I can see while editing, but as soon as I go to render the full video it does this. The clip in the second screenshot eventually sorts itself out after a second or two, while the other clip from the first screenshot is very short and has this effect for the majority of it's duration. I have tried re-recording the clips and adding the new versions to the edit with no change, and I have tried changing the file type of the rendered video with no change. Any help is much appreciated. If it helps I can upload the video I have so far to better show the issues. I had a similar issue happen to one project of mine. It was only in that one project and thus far has not happened again. The only thing I was able to do to "fix" the issue was to highlight from a few frames before and a few frames after, produce selection as, and then slide the newly produced MP4 into that selection. This happened with a couple clips from a client's DSLR camera. I've since done a small handful of other projects and have not run into this again. Thank you for the reply Naomi! This appears to have worked, thank you so much for the help!